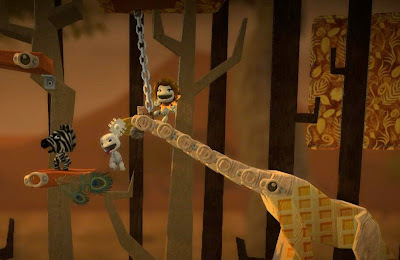 When I woke up this morning, I was looking through my google reader feeds and noticed that the highly anticipated platformer video game LittleBigPlanet was being delayed in Europe, ONLY Europe I might add. When I got to work today, I soon found out that the Europe delay was only the beginning and that the "create-all" game was being delayed worldwide. The reason? I guess a forum poster made a post stating that in one of the stages Media Molecure put together, that Qur'an was being referenced in the background music which caused a last minute delay. So when will the big game be released you may ask? Within a week from the origjnal release date(Now Oct. 27). That's not that bad, considering it could have been a month or even a 2009 delay, ya never know when it comes to Sony.